This condo is located on the fifth floor directly on the beach with beach views from the master bedroom windows and the balcony. It has a queen sized bed in the master bedroom and twin beds in the second bedroom. There is a pull-out sofa bed in the living room. It is very close to the beach. You don't have to cross a road to get to the beach. You just go downstairs, go across the dune, and you are there! 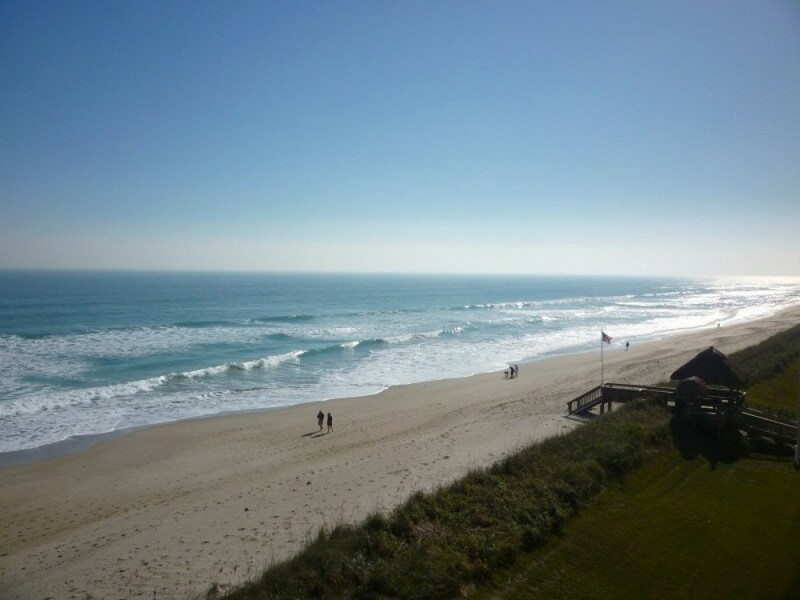 Jensen Beach is located on South Hutchinson Island, and area of uncrowded beaches halfway between Miami and Orlando. This is a no smoking allowed unit. This condo is completely furnished and includes all linens, 2 cable TVs, DVD player, washer/dryer, full kitchen with dishwasher, microwave, and all dishes and utensils. FREE WI-FI. The property has two heated swimming pools (winter months), tennis courts, shuffleboard, rec room with pool table and big screen TV, and a private boardwalk across the dune to the beach. Wheelchair accessable. No pets. There are breakfast, pizza, and casual lunch resturants within 1 mile from the property. There are two elevators in the building. This is a family owned unit that we and our friends use when not occupied, so I think you will find it cozy and well kept. Rates subject to change without notice. There is a $600 reservation fee due at the time of booking which becomes the security deposit after arrival. There is a $100 Condo Assiciation fee due at time of booking. The rent and 11.5% state and local taxes are due 30 days prior to arrrival. The security deposit is refunded within 2 weeks of departure minus a $75 cleaning fee and subject to a cleaning and damage inspection. There may be additional charges for excessive cleaning or damage to the unit.